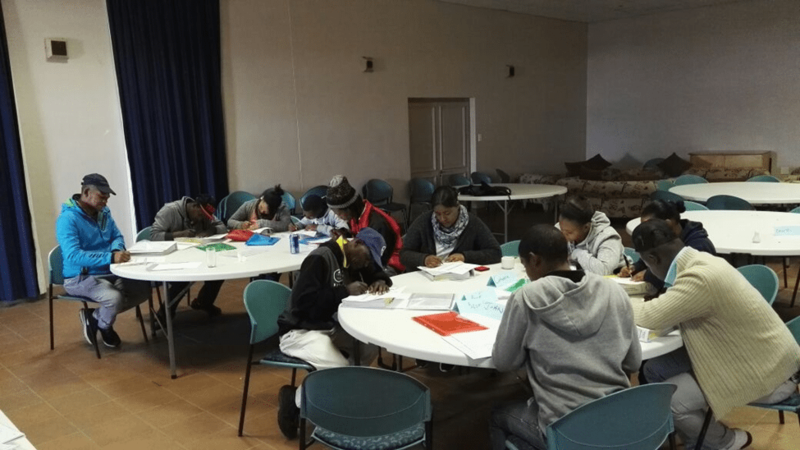 One of the newest addition to the projects we support in South Africa, ‘the Association for Fairness in Trade’ (AFIT) has organized a spring school on fair trade issues from the 16th to 20th of October 2017. Small-scale farmers and farmworkers were invited to the event to learn about their rights and given the opportunity to network with other farmers and farmworkers. This year’s workshops focused on four topics: leadership training, workers’ rights and labor law, understanding politics and where the power lies. The course offered both, practical tools and the theoretical backbone. On the practical side the participants learned about where to turn to for help with problems or complaints. On the theoretical level topics such as how power runs along the lines of gender, religion, ethnicity, age and class; the root causes for inequality; worker’s rights and the role of the state in the distribution of resources were touched.